Spring Savings Promo! Free Spare Tire with Trailer Purchase! Our Prices Can't be Beat | We Still Believe a "Good Deal" is a "Fair Deal"! Our rates are competitive. We may not always be the very cheapest but we do not cut corners or sacrifice quality on our trailers just to have the lowest price. Doubletake Trailer Sales proudly carry cargo trailers and horse trailers from some of the top builders such as Top Hat Trailers, Diamond Cargo Trailers, Calico Trailers and also Liberty. NATDA 2018 buyer's guide. We have factory direct pick up options for eastern customers looking to save money on cargo trailers and we also have transport to the border for our customers in Canada and shipping available in the lower 48 United States. 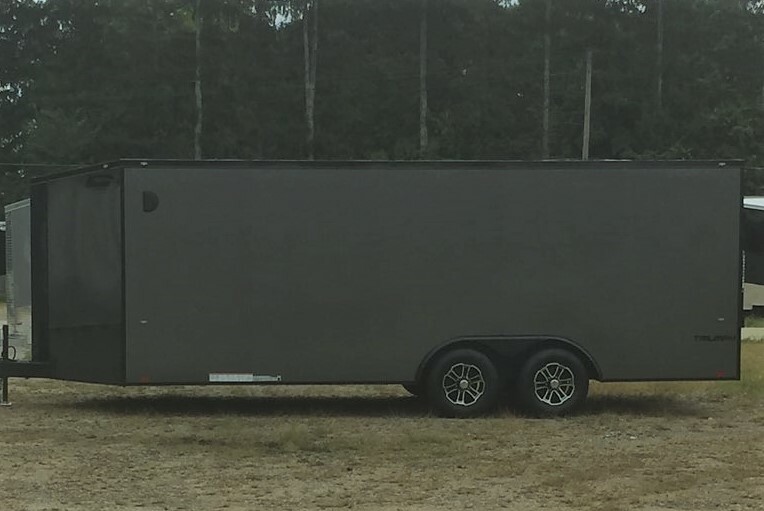 So if your shopping for a quality cargo trailer for sale or a car trailer, motorcycle trailer, concession trailer, snowmobile trailer, vending trailer or horse and livestock trailer. We hope you will give us a chance to earn your business. We want to be your Trailer Dealer. Need financing?